After an injury-riddled Week 4, there’s no better time to check out the weekly Stock Watch as you prepare for Week 5 of the NFL season. Whether you’re 4-0 and looking for that player to continue your playoff run or you’re 0-4 and needing to stockpile for next year, the stocks are in on the players you need to get on your team or have vanish from your roster in Week 5’s Stock Watch. Stock Up📈: Players who are on the rise and have good outlooks as the season progresses. 📈 Duke Johnson Jr. – The Browns have never had a lead in the 16 quarters of football they have played this season. With little help for QB DeShone Kizer at the wide receiver position, Duke Johnson has become a staple in the passing game catching 15 balls for 128 yards over the past two games. Isaiah Crowell has provided nothing in the run game as he has yet to crack the 50-yard mark and has zero rushing TD’s to Johnson’s two. The Jets travel to FirstEnergy Stadium in Cleveland next Sunday and are giving up at least 49 receiving yards to a running back in three of their four games. Don’t wait, buy now. 📈 Alvin Kamara – If the Adrian Peterson Experiment looked like it was on its last legs for the past few weeks, it came crashing down to Earth like Dorthy’s house in the Wizard of Oz. Kamara has looked like the best back in New Orleans and earned his most touches to date (15) in Week 4. With a bye in Week 5, practice patience as you anticipate the juicy matchup vs. the Lions who have given up at least 6 catches to RBs in three of their first four games. Kamara is a great flex option in PPR and could even increase his workload as the Saints move away from giving Peterson touches. 📈 Devin Funchess – The former 2nd round pick has gotten more involved in the offense since TE Greg Olsen broke his foot. Funchess has 19 targets in the past two weeks and had two scores this past Sunday. With Lions CB Darius Slay potentially shadowing Kelvin Benjamin next week, I anticipate Newton to keep feeding the ball to Funchess. If you’re team has sustained some injuries and you need a flex, invest in some Funchess stock before he is gone. 📈 Chris Hogan – Three weeks. It has taken three weeks to get me fully on board but I’m a believer of Chris Hogan as an every-week start. Since his Week 1 dud, Hogan has blown up the fantasy box score scoring four times to go along with 206 yards in his past three games. Hogan’s 2017 campaign is shaping up to be nice replica of Eric Decker from 2015. I’ll still always cringe at the box score each week he doesn’t find the end zone, but Hogan has earned Brady’s trust and is a good bet to find the end zone more weeks than not. 📈 Jaron Brown – 29 targets in three weeks on a team that has zero running game is a recipe for fantasy success in today’s NFL. Brown already has 5 catches of 20+ yards this season and has emerged from the battle for Arizona’s #2 WR as Carson Palmer’s go-to guy after Larry Fitzgerald. In Week 5, the Cardinals get the second worst pass defense in the Eagles who have just given up 115 yards to similar build Tyrel Williams. I’m a big fan of Jaron, not John, Brown going forward for Arizona. Penny Stocks: Here is one player for deep leagues whose stock is rising. Austin Ekeler – Melvin Gordon doesn’t look healthy and it seems likely he will need to miss some time to come back fully healthy or risk further injury. With Brandon Oliver looking unimpressive, buy some stock of Austin Ekeler. If you want some awesome backstory check out Robert Klemko’s story on Ekeler’s pre-draft process. The undrafted rookie burst onto the NFL scene last week with a nice 35-yard scamper and 5 receptions for 47 yards. Look for the Chargers to get him more involved. 📉 Raider’s Offense – Let’s just get these ones out of the way. Derek Carr is injured. Marshawn Lynch looks like a 31-year-old RB who hadn’t played NFL football for a year and a half. Amari Cooper leads the league in dropped passes. It’s just really, really bad. EJ Manuel looks to start at QB for the Silver and Black making it difficult to have confidence in any Raider for the time being. 📉 Trevor Siemian – As a Dallas fan, it hurt me to see a guy like Trevor Siemian toss four TDs on the way to a 45-17 rout of my beloved Cowboys in Week 2. However, I did take note that he faced a secondary that was playing three rookie cornerbacks. That was the ultimate sell high for Siemian as he has come back down to Earth over the last two weeks. Sure, he can be a bye-week fill in if needed but the calls for Siemian as an every week starter are long gone. 📉 Terrance West – Coming into the football season it was Kenneth Dixon, Danny Woodhead, and Terrance West all fighting for the starting job in Baltimore. Four weeks later both Dixon and Woodhead are injured and West is…well…not really playing. West got a mere 16% of the RB snaps on Sunday behind both Alex Collins and Buck Allen. He has been given every opportunity to win this job and is not the answer the Ravens are looking for. He is borderline droppable in most leagues. 📉 Seattle Run Game – Never have I ever, and yes, I’ve seen some Belichek RB carousals, have I seen such lack of commitment to a person to carry the rock in a single backfield. Just when we thought Chris Carson was bringing some stability to Seattle’s running game, he sadly gets put on IR. Now the Seahawks turn to Eddie Lacy and Thomas Rawls, both previously marked as healthy inactives earlier this season. With CJ Prosise and JD McKissic also in the mix, don’t invest too much into this stock until we get more clarity. 📉 Kyle Rudolph – I reserve the right to scratch this entry from the list if Sam Bradford finally comes back this week. No one misses Sam quite like Rudolph. 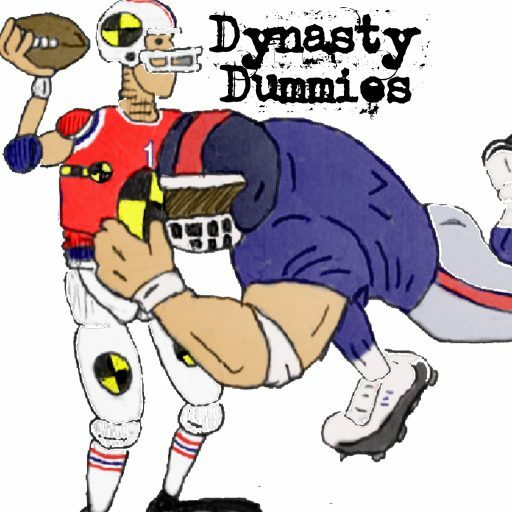 According to playerprofile.com, Rudolph is getting a dreadful 6.7% of targets per snap played this season. That number ranks 56th at the tight end position… 56th! I do expect the Vikings to lean on Rudolph more with Cook out but I want no part of his stock until Bradford is back under center.